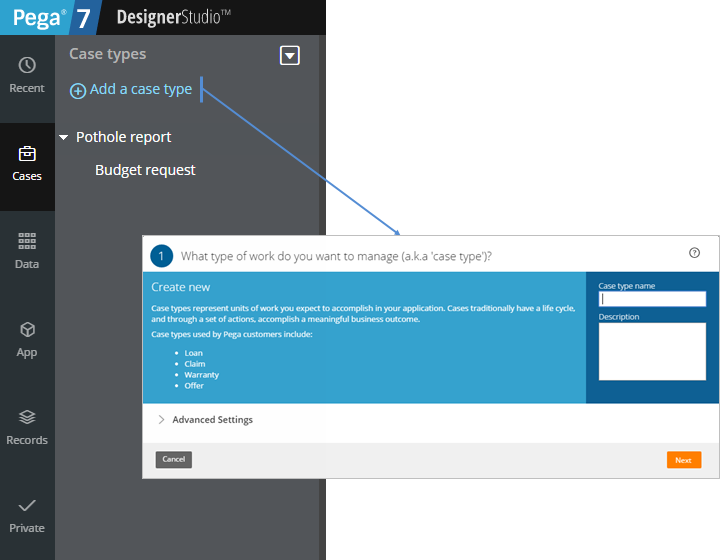 The case type wizard walks you through the process of adding a case type to your application. Use it to quickly create top-level and child case types. You can add a top-level case type to your application by using the Add a case type link in the Case Type Explorer. Integrated help and default values in the wizard gradually introduce you to stage-based case types, making your transition from the wizard to Case Designer seamless. Follow the intuitive steps to name your case type and define the stages in its life cycle. You can add a child case type to your application by using the menu of an existing case type in the Case Type Explorer. 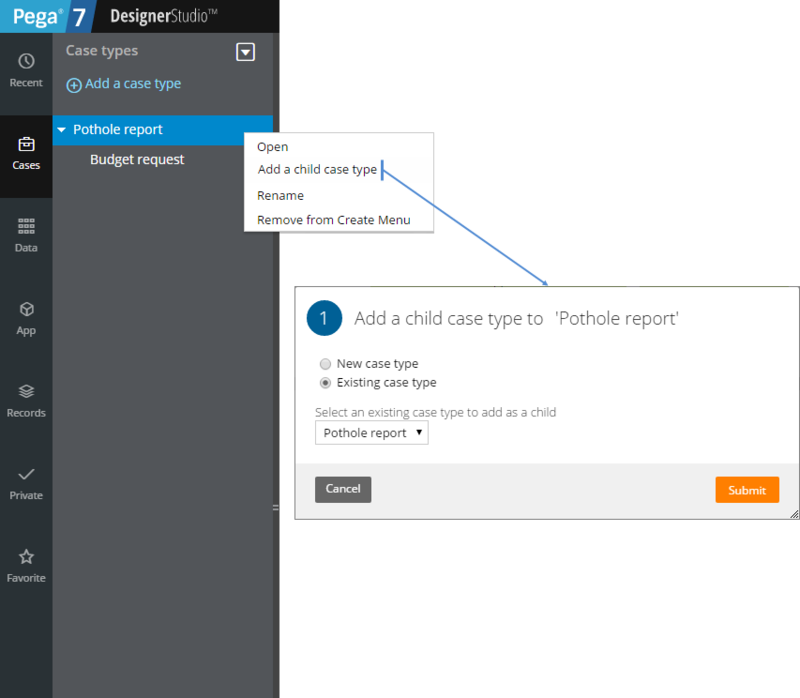 You can choose from the list of existing case types in your application or run the wizard to create a new child case type. The case type wizard replaces the Add Case Type dialog box in the Case Type Explorer. Extraneous options that were previously available have been migrated to the contextual property panel in Case Designer.